Dance your way into 2019 at Nashville's only rockin' dinner club, with a delicious 3 or 4-course dinner, live music by Grant Garland and a midnight champagne toast. Enjoy a chef-prepared 4-course dinner, dancing and a midnight champagne toast. 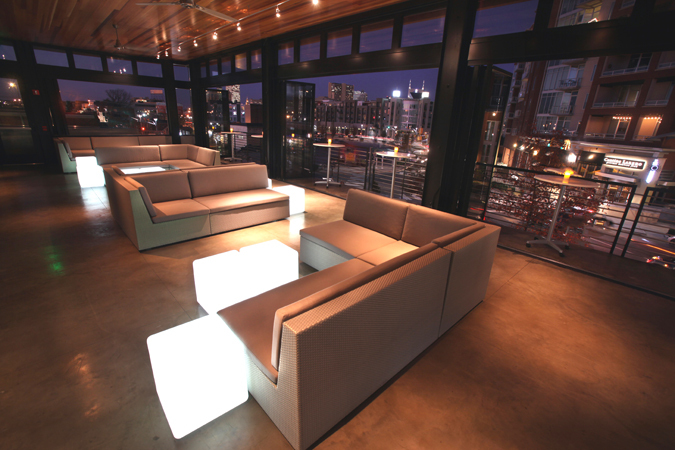 Stage views are restricted but are replaced with beautiful views of the Nashville skyline. 5:00 PM 3-Course Dinner STILL AVAILABLE! 7:00 PM SKY LOFT + PREMIUM MENU STILL AVAILABLE! Tickets must be purchased on one credit card for groups who wish to be seated together. For special seating needs or groups over 10, please contact Nicole: Nrioux@sambucarestaurant.com or 615.248.2888. We begin checking in reservations 15 minutes prior to seating time, no exceptions! We cannot reserve specific tables. Table placements are made based on the order reservations are received. You are given the best table available when you make your reservation. Pre-paid dinner tickets do not include tip. We suggest an 18% tip on food and beverage purchases.